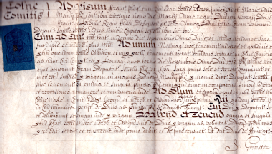 Dr Alan Macfarlane and his team had discovered that the documents relating to the village were more complete, and covered a longer continuous period, than those for almost any other small community in the country. 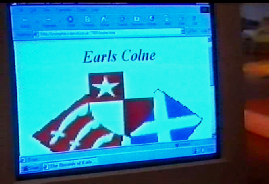 They are now on a web site and used by students of social history all over the world. 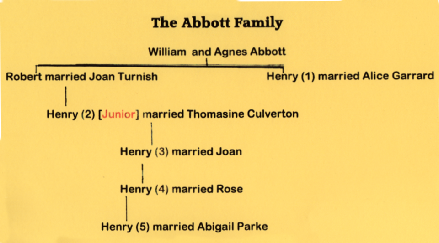 The Henry Abbott whose potted biography features in the Sunday Times article holds the record number of Court appearances by any Earls Colne Resident. After one crime spree, he was ordered to do community service as a night watchman. 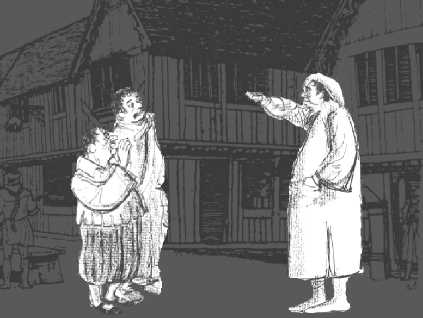 Henry not only failed to carry out the order but came out into the street in his night-shirt and started jeering at the lads who had turned up for duty. 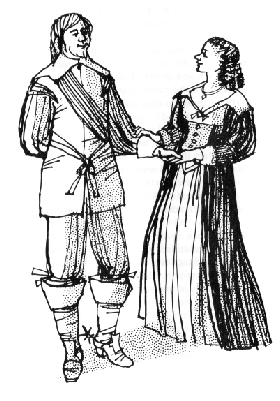 Henry’s fortunes took a turn for the better as a result of an arranged marriage with Thomasine Culverton, who had inherited a large amount of land when she was orphaned at the age of six. 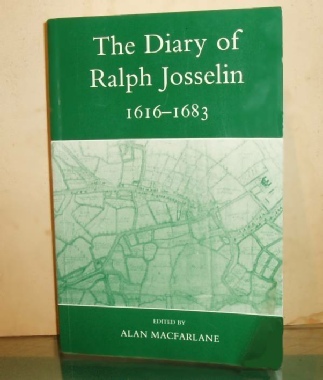 As the son of a farmer, Ralph Josselin gradually acquired considerable amounts of land, including fields which have become the Colne Valley Golf Course. 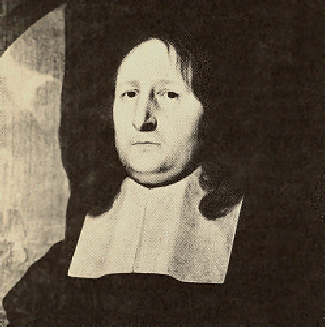 Although Henry Abbott was a ‘lost sheep’ as a Quaker, Ralph could still do business with him as one farmer to another. 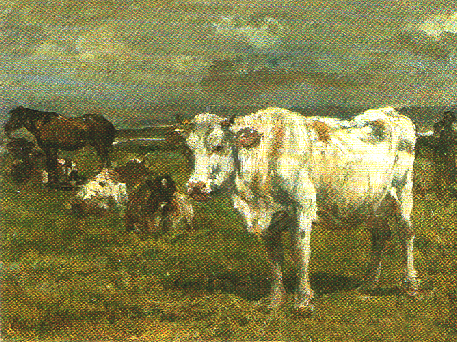 He loaned Henry a bull for his cows and received an unexpected gift of £5 for his kindness. 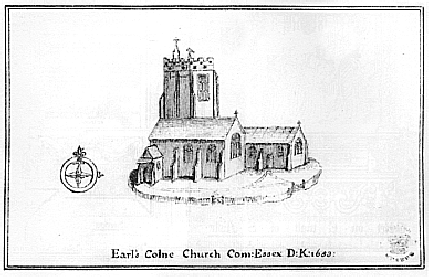 During his time in Earls Colne, Ralph Josselin worked closely with the Lord of the Manor Richard Harlackenden, who lived at the manor house beside the ruins of Colne Priory. 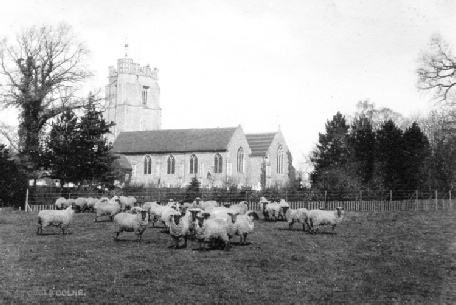 As the Patron of the parish church, Richard appointed Ralph as Vicar an was responsible for collecting the annual tithes which made up the Vicar’s salary. 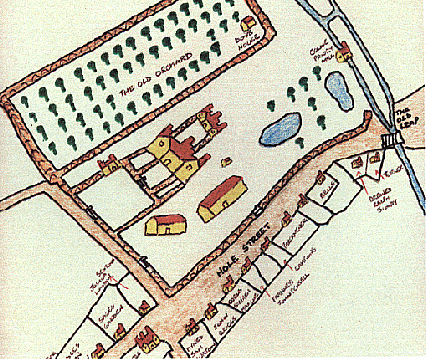 Richard Harlackenden’s grandfather, Roger, became Lord of the Manor in 1586 when he bought the land and houses which had belonged to Edward de Vere, the seventeenth Earls of Oxford. 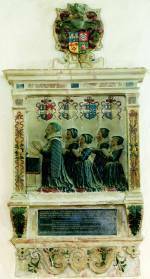 This memorial may be found in St Andrew’s church in Earls Colne. 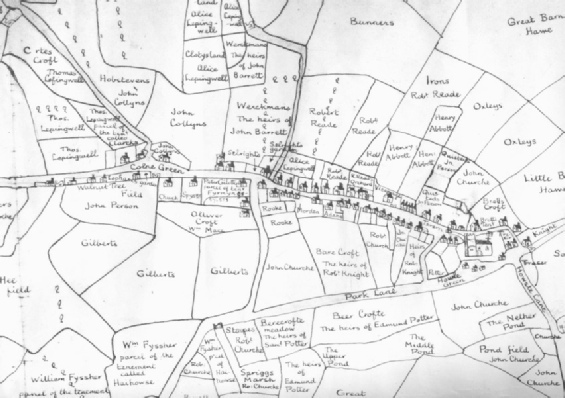 To complete the sale process, Israel Amyce was commissioned to draw up a map and survey of the village so that field boundaries and tenancies could be clearly identified. 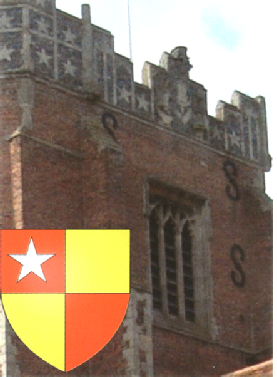 Although the church tower still displays the heraldic stars of that Earls of Oxford, it was the Harlackendens who retained the titile of Lord of the Manor and passed it down, through the female side of the family until 1935. 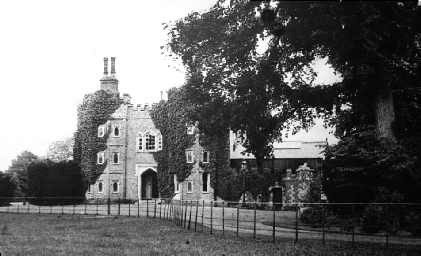 When Henry Carwardine inherited the title and estate from his mother in 1825, one of his first tasks was to build himself a new manor house close to the ruins of Colne Priory. 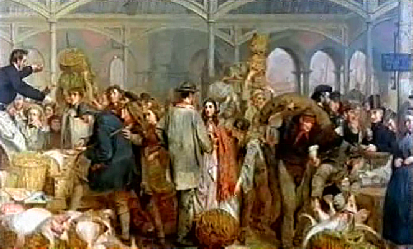 Henry Carwardine wrote poetry and had a wide circle of friends who were poets and artists. 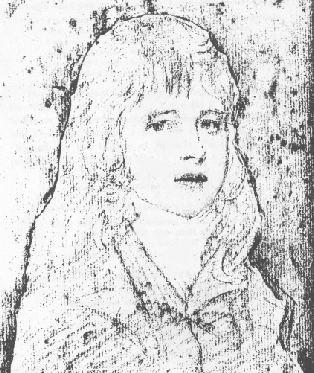 His godfather, George Romney, drew this sketch of Henry as a boy. 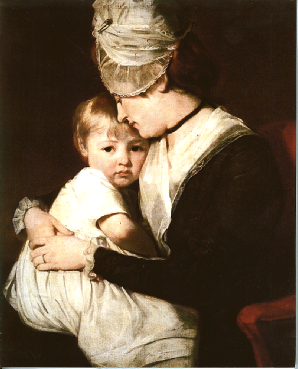 This portrait, also by Romney, shows Henry’s mother, Anne, with one of her sons. It was sold at auction in 2003 for over three hundred thousand pounds - sadly more than the Heritage Museum could afford! Henry took his responsibilities as Lord of the Manor very seriously. 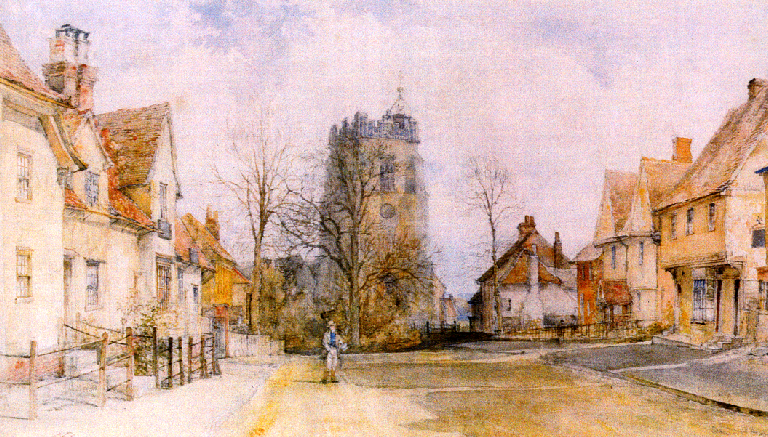 He re-establishment on land north of the High Street, choosing a house on the Green as a residence for the farm manager. 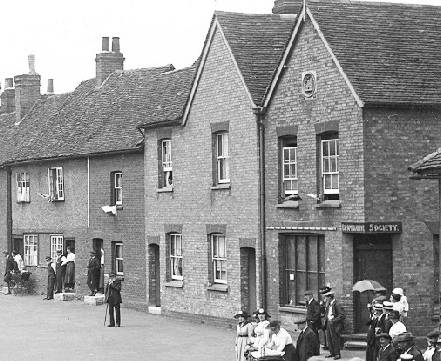 He also built a group of alms houses in Upper Holt Street to replace some ancient collapsed cottages previously administered by the Earls Colne Trustees for the Poor. 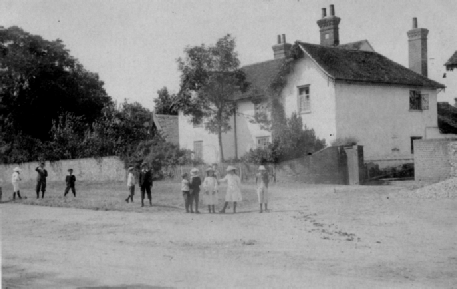 But historians are most grateful to Henry Carwardine for the survey of his manorial property which he carried out between 1854 and 1860, tracing the sequence of tenancies back to the similar project carried out by israel Amyce in 1598. 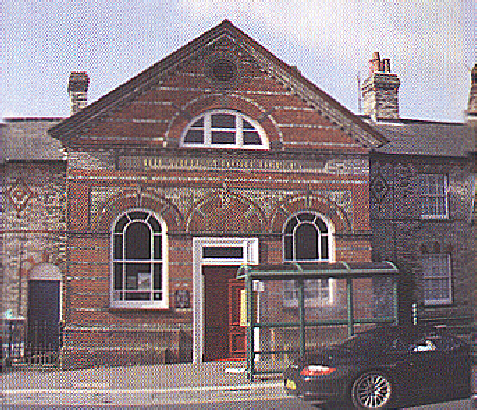 For example, he tells us that the Mechanics’ Institute, which is now the William Hunt Library with its adjoining terraces, was built by Mr Harris Hills in 1858 to replace a group of eight cottages and a carpenters’ yard. 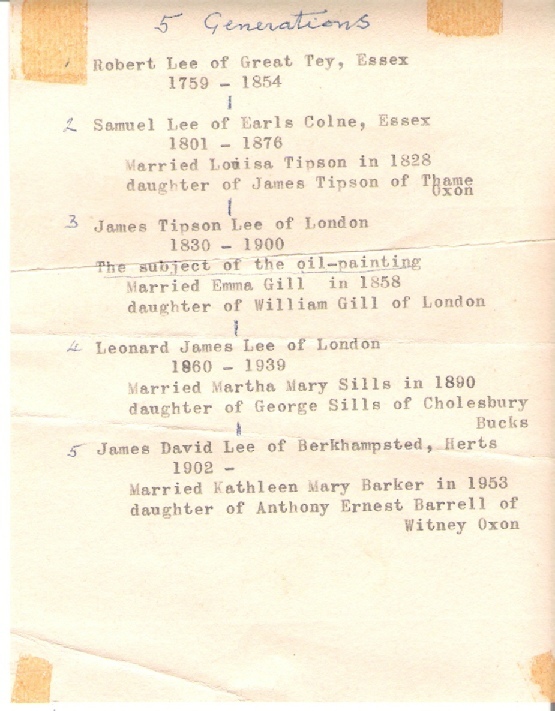 A recent vsistor to the Heritage Museum donated a small notebook containing some diary entries by a Shoemaker, Samuel Lee, beginning in 1843. 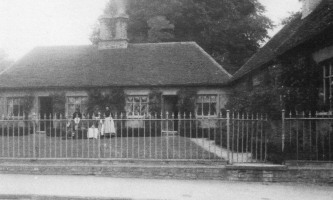 Samuel’s workshop was in the building now occupied by the Colne Valley Butchers and Graze Delicatessen. 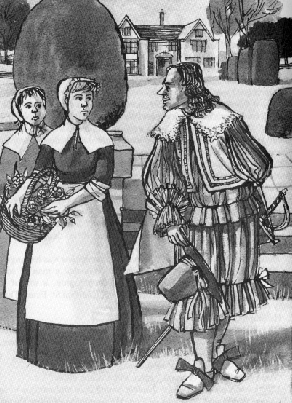 When the diary begins, Samuel’s eldest daughter, Mary, is working as a domestic servant in London. Her fourteen-year-old sister, Sarah, is about to take up a similar with a family in Hampshire. 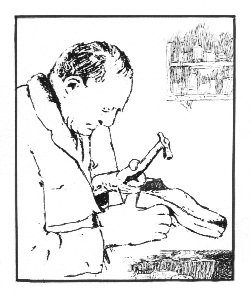 A third daughter, Frances, helps her father in his business, stitching and finishing the shoes which he makes. The elder son, James, is serving an apprenticeship with a butcher in Colchester and his nine-year-old brother, Bernard, is still at school. As well as serving local customers, Samuel sold batches of boots and shoes to a London wholeasaler. 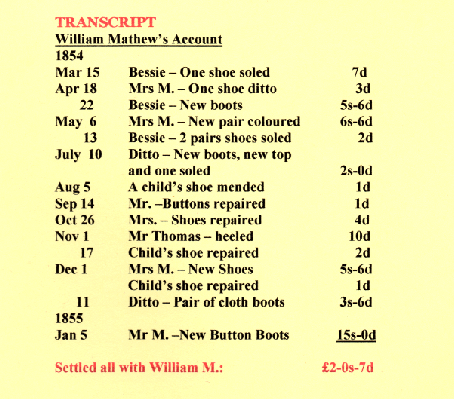 But he was often in financial difficulties because he allowed customers like William Matthews, a local farmer, to build up credit for several months. 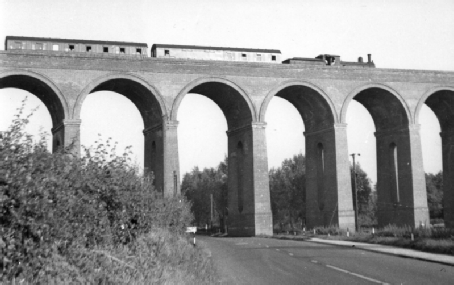 As the Colne Valley Railway had not yet reached Earls Colne, a visit to his married daughter, Louisa, meant a walk to Sudbury, a ride back on the train as far as Chappel and then another long walk to reach home. 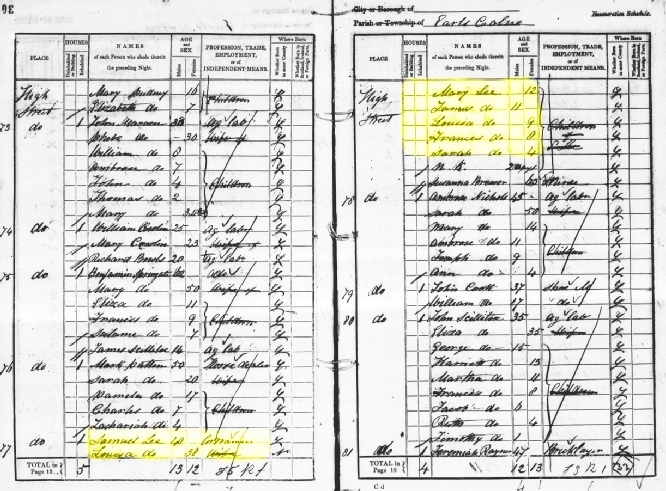 In October 1851 Samuel took his son, Bernard. To the Crystal Place Exhibition and tells us that, on that one day, over 100,000 people went through theturnstiles. He also records an unusual event in the village. 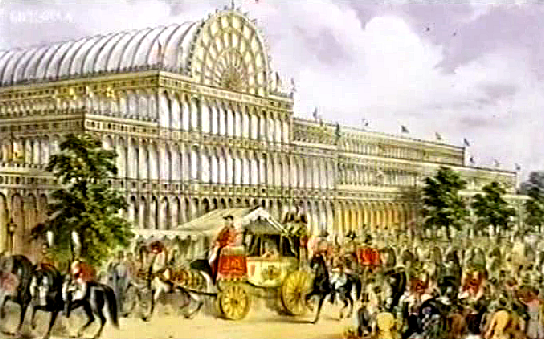 April 25th 1853. 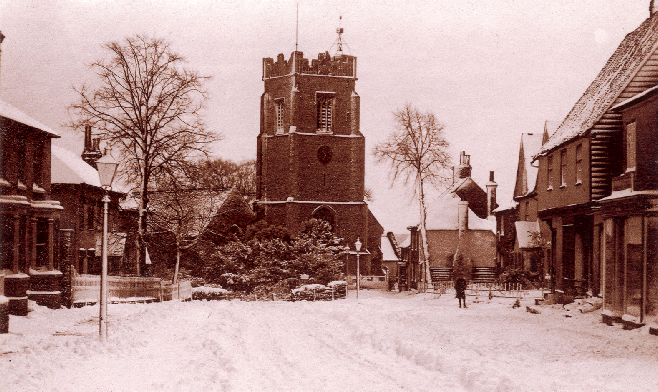 A great fall of snow began at four in the morning and continued until One without intermission. In the afternoon heavy fall of rain which caused a large flood. Two horses were drowned at Greenstead Green. The man very narrowly escaped. 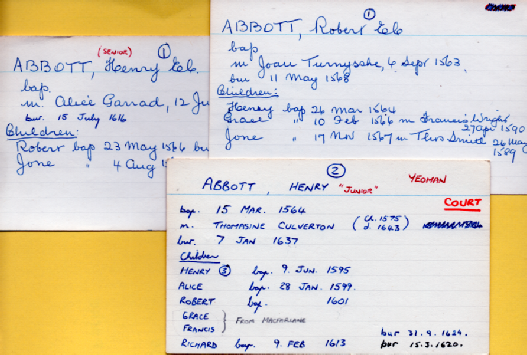 The Diary entries in the notebook come to an end in 1859, but some loose papers tucked in the back continues the family’s story over the next three generations. 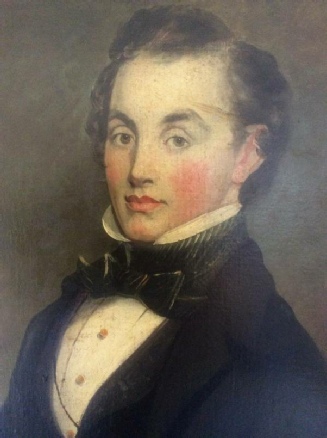 Samuel’s son,James, became a successful shopkeeper in Leighton Buzzard and this portrait of him is still owned by his descendants. 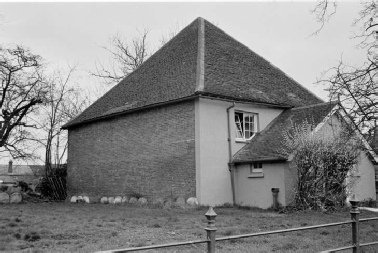 Before the results of the Cambridge research project were published, the Earls Colne Branch of the Workers’ Educational Association carried out a survey of the surviving medieval houses in the village. 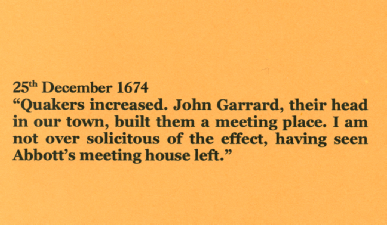 As the final touches were added to the resulting publication called ‘Wherein I Dwell’, Alan Macfarlane and his assistant Sarah Harrison met members of the local group for a two-way exchange of information. 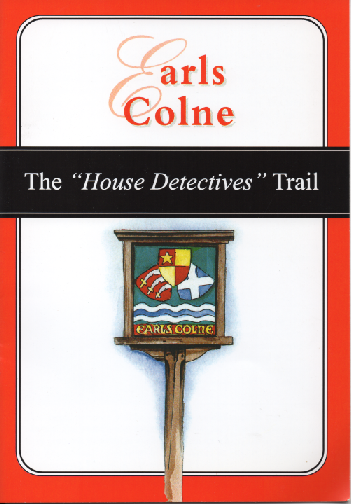 Copies of the publication are on sale at the Earls Colne Heritage Museum. Dr Macfarlane found it interesting to link his knowledge of the documentary records with the actual houses which have survived - in some cases for over six hundred years. 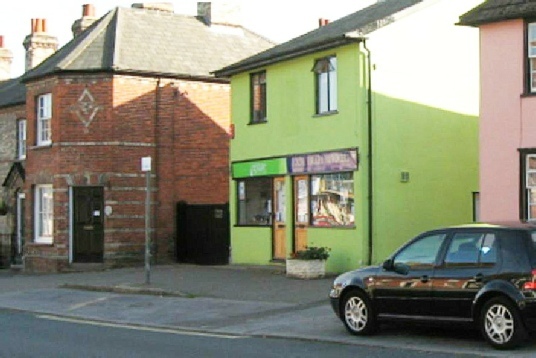 For example, The Co-op building is actually made up of three sections. 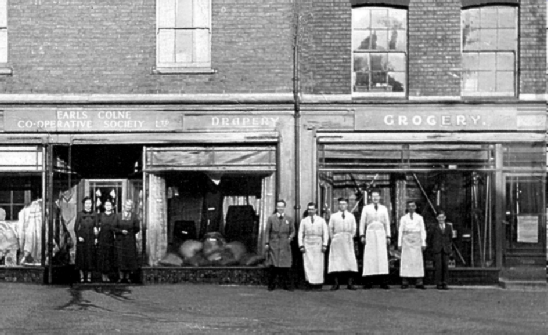 It began in 1887 as a purpose-built corner shop which sold groceries. 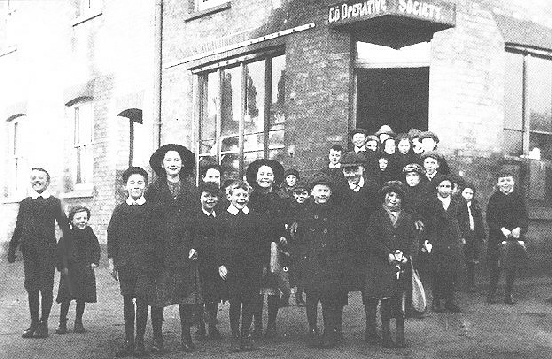 In this picture the children are waiting for bread to be delivered from the bakery on the other side of the street. 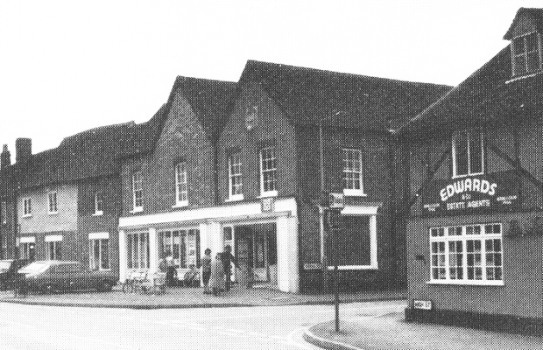 In 1931 it expanded into a timber-framed building next door to provide a Drapery Department. 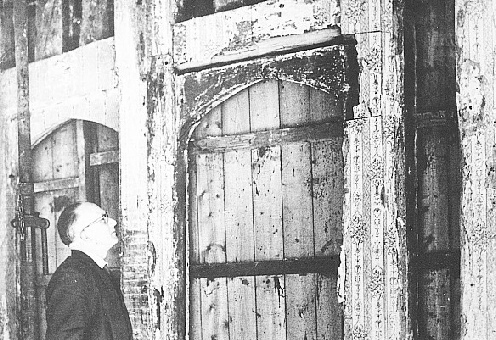 During the conversion jack Ardley, the manage, was able to examine a large medieval door which was uncovered in the original outside wall. 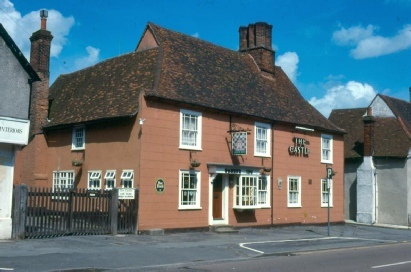 In 1983, a further expansion took place. 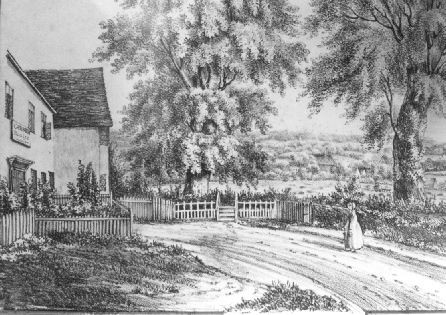 What appeared to be three small cottages on the west side were added. 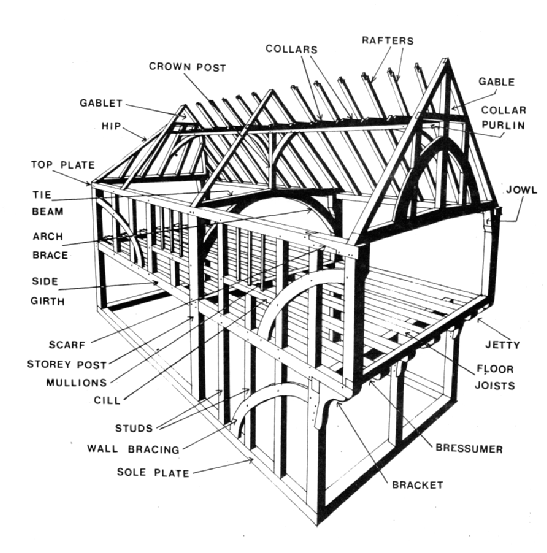 Once the facade was stripped away, the ‘cottages’ were found to be a fourteenth century house. 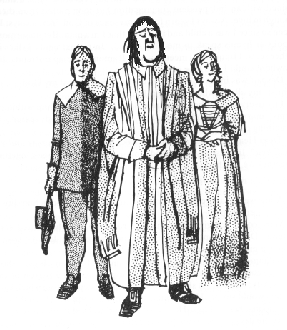 The Parish Council has published a ‘House Detectives Trail’, which may he;p people to identify other early houses in the village - even those disguised by later brick or plaster facades. 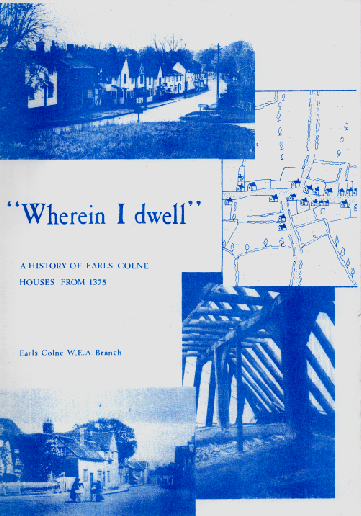 Copies of the publication are on sale at the Earls Colne Heritage Museum.